I think I can’t do anything against it, I am going to try writing her somehow (my tutorials are on a chinese webpage), and to avoid misunderstanding I put a language selection tab on the upper right of the webpage. I hope it will help anyone understanding texts and it will help me to make people understand that all the macramotiv.com’s materials belong to Macramotiv and are protected by laws and you may not reproduce or distribute them in any form or through any media. I worked a lot with this website, I worked a lot learning macrame and improving my knotting skills, I worked a lot with finding out new tutorials, I worked a lot with taking pictures, editing them, making tutorial posts and let you know about them. 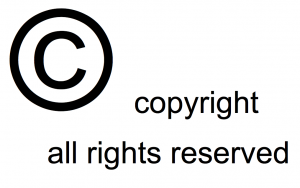 Please do not copy my material and share my images on your website. Instead of this you can write a post mentioning that you has found a useful tutorial and let your readers know my website’s URL: macramotiv.com. Já existem várias opções nos sites para proteger as fotografias para que tal não aconteça. Uma dessas formas é não permitir efectuar o download das fotografias, o próprio site não o permite. As pessoas podem aproveitar a ideia do teu trabalho para realizarem o delas mas não as tuas fotografias. OK, I’ll look at it and I’ll search for info about this. I am sorry to see that some of your tutorials have been stolen. I can see that you’ve worked very hard to make the tutorials. Your jewelry and designs are lovely. I can’t wait to start making some of them. Thanks for the very clear instructions.